Hotel Meanamla is situated in the heart of the Ravangla. 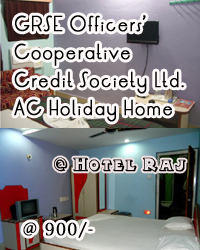 It consists of 28 well-furnished room with conference hall and multicuisine reataurant. A stay at Hotel Meanamla will provide all necessary comfort you want. "Blue Spring Residency", Ravangla is undoubtedly one of the best hotels in the town. With its very modern outlook and excellent location with the main market place on one side and wide and green himalayas on the other. Blue Spring Residency has great repute with national and international tourists. "Hotel Zumthang", Ravangla is one of the finest hotel in Ravangla with state of the art rooms, excellent backdrop, professional maintenance and its traditional styling. Run by a local posh family, the hotel is reputed for its warmth and service. 10% service charge and VAT on all bills . "Hotel Rabtenling" is located at the main market place of Ravangla. Run by traditional local family, this hotel has budget rooms with all modern amenities. "Hotel Queen's Hill", Ravangla is located at the Upper part of Ravangla with moderate rooms with attached bath, in house restaurant and excellent mountain views. Hotel Ravangla Star is situated at the Highest Sub Divisional Town of Eastern India. The location is on the road side of south South-West highway of South Sikkim at Ravangla. A family run hotel which has been started with a zeal to give the best facilities & location wise the best views in Ravangla.